We were delighted to recognise 4 of our directors for their long standing voluntary contribution to the work of our organisation. 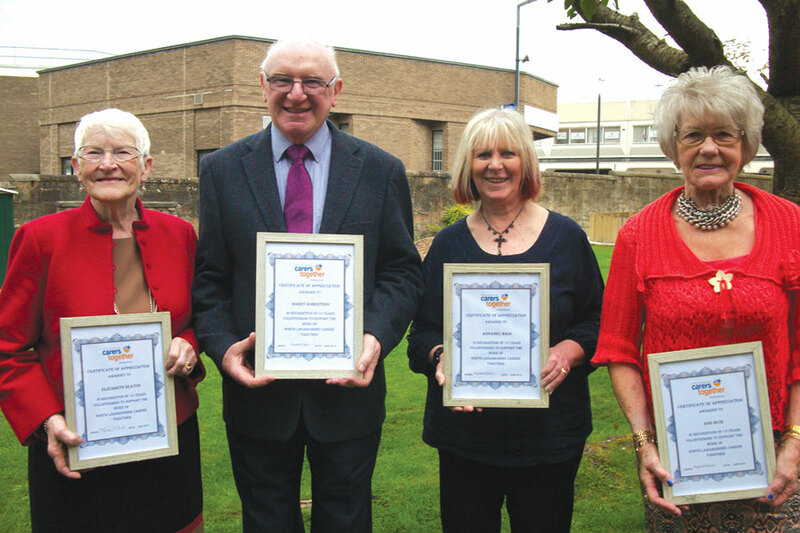 Liz Seaton, Harry Robertson, Ann Muir & Annabel Main all received recognition at this year’s AGM with their combined service to North Lanarkshire Carers Together extending beyond 50 years!!! !